From copyright infringement cases to murky branding, having a poorly designed logo may be worse than having no logo at all. For online businesses in particular, the logo is essential for crafting a recognizable brand that can connect with potential customers. Chron describes the logo as being the corporate face of your business, the first impression that many will have when they consider doing business with you. When you’re searching for possible design companies, bookmark at least three or five before you make your final decision. Some businesses walk into a session with a professional logo designer, knowing exactly what they want and what they need right down to the color choice. Many logo design companies offer additional advising and brainstorming to assist with the development process, particularly if you don’t know what you want. Sometimes they offer upgraded consultation packages. These packages can be invaluable. Apart for opting for such packages one can easily go for an online service providers where they can easily design a logo online without compromising on quality of design. Here’s an example of what kind of consultation you might need. When you go into a logo consultation, you need far more than just a general idea of what you want to show. You need to know how it will impact your customer, what you want to achieve, and so on. Inc reports, for instance, that color choice plays a significant role in the effect that your logo will have on potential customers. The impact changes based on the colors it is combined with. You might not know how all this will play together, and so you may need a service that will walk you through this. If, on the other hand, you know precisely what you need and can even provide initial concept sketches, you may not need an expansive service. Tell the business that you know what you want and you only need the basic services rather than in depth consultations. One of the biggest quandaries you can stumble into is purchasing a logo that infringes on someone else’s trademark. Not only will it cost you time and money, but it can also cost you your reputation. Using cheap outsourced service providers can sometimes result in copyright infringement as well as poorly designed logos. The US government states that logos can be trademarked so long as they meet certain standards, and that significantly increases potential fees and liabilities if you do infringe on one. A good logo design company will check to ensure the design is not trademarked and is in fact as original as they state. Make sure to save all legal guarantees though. While you can still be sued if you do wrongfully infringe on another business’s logo, you can then be reimbursed by the design company. However, you will need a copy of the agreement and the receipt or its legal equivalent. Bear in mind, though, that you are responsible for trademarking the logo after you receive it. Otherwise, you may waive some of your potential grievances. 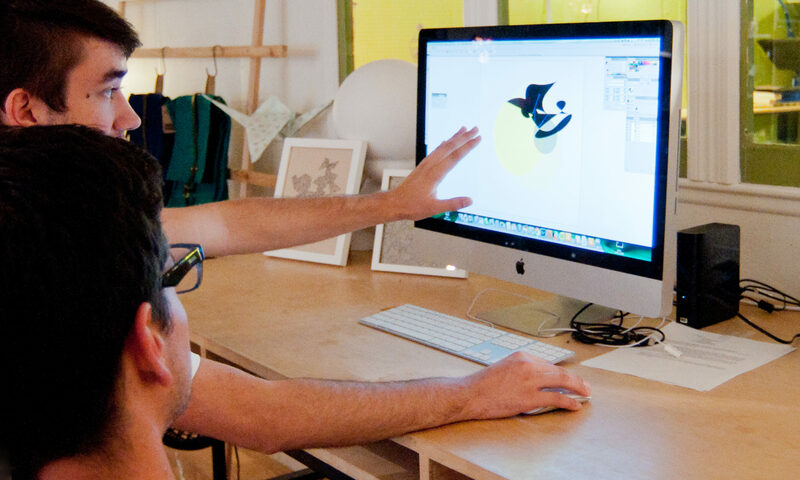 Most design companies provide feedback from customers on their websites. You can also check out reviews from relevant services or talk to your peers who have used one service or another. The biggest issues you need to consider are the ones relating to communication, timeliness, and professionalism. Some design companies even provide references so you can check up on them. Take negative reviews with a grain of salt as even the best businesses will have customers who are not satisfied. Ideally, you will want a business that has substantive reviews that will allow you to evaluate how well they handle the various aspects of logo design. Choosing a designer for having a professional logo design is quite important. When you’re making a choice, you should look at the portfolios to see what work the company has and whether it meets your needs. From there, you should narrow it down to your actual requirements. You don’t want to purchase services you don’t need. You must also ensure that there are legal guarantees your logo will not be infringing on another company’s trademark. When you’re narrowing it down from there, you can find additional insight based on reviews. All of these things will help you pick the best logo designing company or individual.